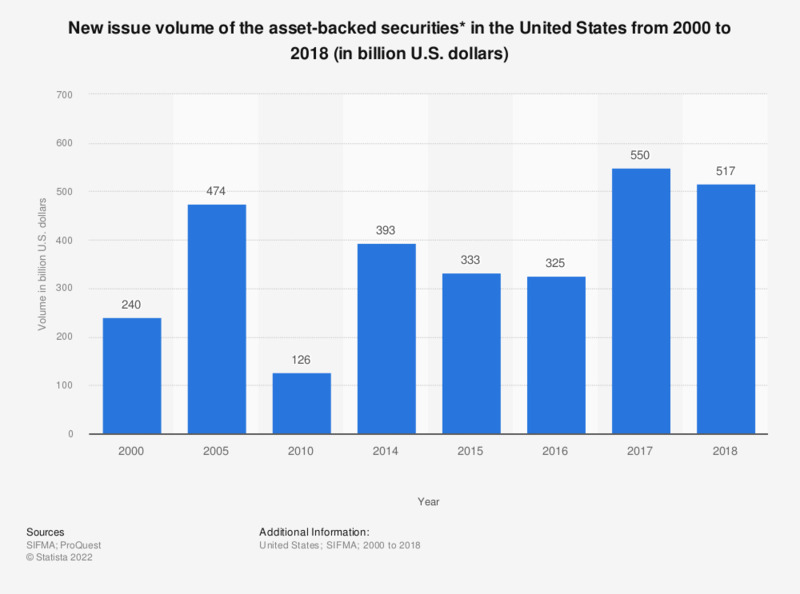 This statistic presents the new issue volume of the asset-backed securities of the United States from 2000 to 2017. In 2017, the new issue volume of the asset-backed securities of the United States was 498 billion U.S. dollars. *Excludes mortgage-backed assets. Includes auto, credit card, home equity loans, manufacturing, student loan and other. Collateralized debt obligations are included.